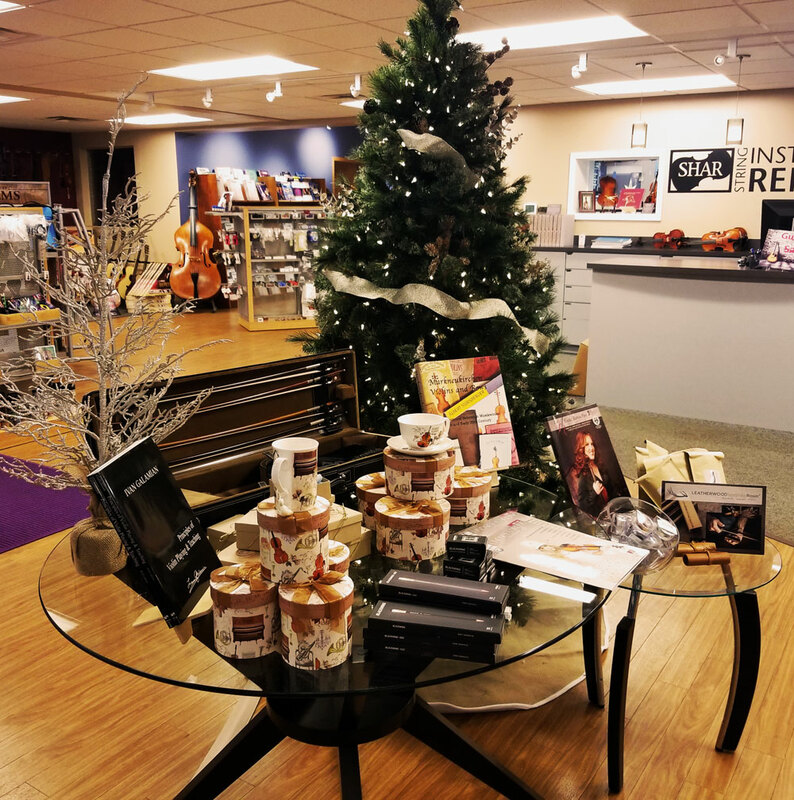 Struggling with what to get for that special musician in your life this holiday season? We've got a HUGE selection of gifts that will please students, teachers, stand partners, and everyone in between! Just decide on your budget and finish holiday shopping! Brillante Polly Mute: Brillante mutes shimmer and sparkle under stage lights, whether in use or on standby and are perfect stocking-stuffers or gifts for your studio! WonderThumb: Many students struggle early on, not only with proper hand position and movement, but with clenching the neck of the instrument or tightening the hand. This revolutionary teaching aid helps protect your students from tension-related injuries down the line! Practice Bracelets: Every student needs to be reminded to practice! These fun little accessories are the perfect gift for your studio to make sure they keep practicing through the New Year! My First & Second Technique Book: These exercise books by internationally acclaimed Suzuki pedagogue Kerstin Wartberg offer content that is both accessible and motivational for the beginning violinist! Vibes Hi-Fidelity Earplug: Nothing matters more to a musician than their hearing! Filter out the noise and protect your ears with these hi-fidelity earplugs. Greeting Cards by Becky Chaffee: These originally designed, musically themed greeting cards are PERFECT for birthdays, graduations, and holiday of all kinds. Andrea Rosin: This rosin is well-known and used by professionals around the world. Designed to provide a sensitive and sophisticated sound enhancement, it is a perfect gift for any musician looking to take their playing to the next level. Building Blocks of Violin Virtuosity: This DVD series covers the bowing, instrument position, and left-hand technique basics that every young violinist needs to succeed on their instrument, making them the perfect gift for any serious student. Leatherwood Rosin: Give the gift of luxury this holiday season with this premium rosin! Each woodblock is hand-carved and every drop of rosin is hand-poured to ensure quality and a unique playing experience. Korg KDM-3 Digital Metronome: Make every day practicing more enjoyable with this state of the art metronome. With its powerful volume and clearly-audible tone, it's an attractive addition to any music studio! Joey Case Carrier: Every musician on-the-go can benefit from extra storage and the ability to carry their instrument with ease! The Joey Case Carrier is perfect for students, teachers, and busy professional musicians alike. Luxitune Hill-Style Fine Tuners: Give the gift of sparkle this winter with these beautifully crafted designer fine tuners that are hand-crafted from genuine Swarovski crystals and precious metals. Need more gift ideas? Check out our full gift selection here! Don't forget to subscribe to our email list for, follow us on Facebook, Instagram and Twitter, and subscribe to our blog for current SHAR news!